1/2 dozen cookies approximately 3 oz. each. Ener-Chi cookies are a recipe Chef Budd developed in an effort to try to pack as much fruit and baking spices into a cookie. 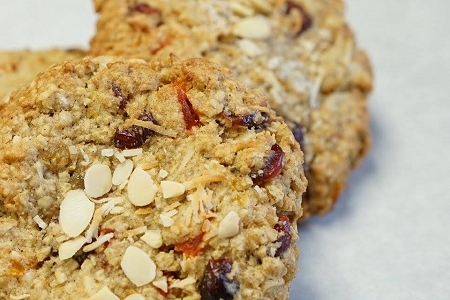 Ener-Chi are something like an oatmeal cookie but with more than just raisins and oats. Several fruits including apricot, papaya, craisins, and coconut. 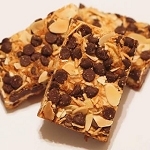 In addition oats, almonds, cinnamon, clove, and ginger give the Ener-Chi its special flavor. Flour, butter, sugar and eggs are also used.